TV Screen Technology Explained - Which? 4K, OLED, HDR and more - buying a new TV can leave your head spinning with technical jargon. Here, we take the confusion out of TV screen technology to help you find your perfect set. There has never been more jargon to get your head around when looking for a new TV. If you’ve been bewildered by manufacturers’ marketing mumbo jumbo, you’re not alone. From 4K and HDR to OLED and quantum dots, there’s a list as long as your arm of terms all hailing ‘better picture quality than ever before’. But fear not. Although the technology they describe is often very clever, you need to get to grips with only a few things to identify the type of TV screen you need. Here, we round up the key TV technologies. You will find more in-depth information on other features in the other pages of this guide. Advances in LED (light emitting diode) technology have seen plasma and more traditional LCD screens fall by the wayside. The tiny lights in LED sets allow them to be slimmer than lamp-lit LCD TVs. Most TVs in the shops have standard LED screens. High-end, expensive TVs are now usually OLED (organic LED) or QLED, which uses quantum dots. 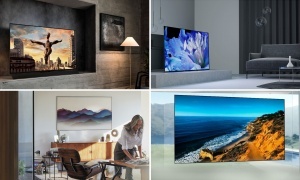 It’s a key battleground for the South Korean TV manufacturers: LG says OLED will give the best possible picture quality, but Samsung opts for quantum dots instead. 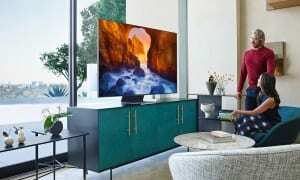 LG isn't alone either, Panasonic and Sony now have their own OLED TVs. Liquid crystal display (LCD) TVs come to life when light from behind the screen shines through a matrix of tiny, coloured liquid-crystal cells. Signals control each cell, letting varying amounts of colour through to build up the picture. LED (light-emitting diode) TVs actually use the same LCD screen technology, but with one crucial difference – the handful of backlight lamps that traditionally illuminate LCD TVs are replaced by a larger number of tiny LEDs. These are arranged either around the edge of the screen, known as edge-lit TVs, or spread across the entire rear of the TV, known as back-lit or direct-lit TVs. Edge-lit TVs are the most common. Early versions had problems with inconsistent screen lighting and patchy colours, which is less of an issue for direct-lit TVs. But significant improvements mean edge-lit is now the favoured technology, as it allows the TVs to be slimmer. Some LED TVs use a technique called local dimming or micro dimming, which varies the backlight in different parts of the screen to give darker, richer blacks and brighter whites where required. This technology started out on direct-lit sets, but manufacturers have now found ways to incorporate similar technology into their edge-lit models, meaning you're not necessarily missing out by buying one. This refers to the number of image pixels in the TV’s screen. A high-resolution TV – or high definition (HD) as they’re more commonly known – will look sharper, with a more detailed picture. High-definition TVs are available either as cheap HD Ready 720p sets (typically £100-£200) that can broadcast HD TV (what you see if you watch BBC HD or other HD channels), or as Full HD 1080p models. These have more pixels and are able to show sharper images, especially if you watch video from a Blu-ray disc. 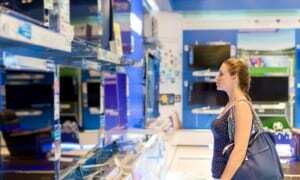 Best Buy Full HD TVs start at a little over £300. Even sharper still are 4K, or Ultra HD, TVs. These have four times the number of pixels of a Full HD TV, and should give you an even better picture. The cheapest 4K Best Buy TV we’ve tested is around £400. The amount of 4K content available to watch is growing. 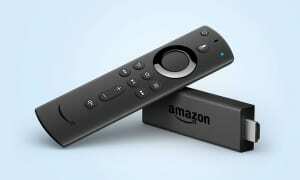 Broadcasters Sky, BT and Virgin all host 4K content, and you will also find it on streaming services Netflix, Amazon Video and YouTube. Plus, the latest blockbusters are hitting the shelves in crisp 4K, with more and more ultra-HD Blu-rays released every month. A good 4K picture is great on its own, but High Dynamic Range (HDR) can make it even better. HDR, combined with improvements in TV display technology, will make colours appear more vibrant and detailed than you’ve ever seen before on a screen. HDR is available on a wide range of TVs, but there’s currently even less HDR content to watch than regular 4K – your only options are a few online sources and 4K Blu-ray discs. This will change over the coming years, but right now you won’t be missing out too much if you're considering a non-HDR TV. Manufacturers can now make TVs with curving screens. The aim is to wrap the picture around you, similar to the experience you get in an IMAX cinema. But we find that a curved screen doesn’t add much – the effect is only really visible if you watch TV from absolutely straight on, and from reasonably close. Few people do. Plus, a curved screen can show distracting reflections, and you can’t mount them as flush to a wall as you can with a flatscreen. Make sure you view a curved TV in person to see if it’s right for you before buying. Samsung dropped support for 3D in 2016, and the two remaining holdouts, LG and Sony, have since followed suit. Outside of 3D Blu-rays, there weren’t many ways to watch 3D content. Sky had a 3D channel, launched in 2010, that broadcast a mixture of movies, sport and documentaries. It shut down five years later. The BBC showed the Olympics and Strictly Come Dancing in 3D but, with viewing figures low, it suspended 3D programming in 2013. A few others also had a stab at 3D, Virgin included, but the demand simply wasn’t there. They couldn’t replicate the success of 3D films such as Avatar in the home, despite 3D TVs becoming affordable in much the same way that 4K ones are now.